Taishi (Akashi Takei) lives with his father Kazushi (Sadao Abe). His mother left home when Taishi was very young and he barely has any memories of her. He believes that his mother left home to study in Paris. His favorite moments comes once a week when he receives a letter from his mother. But one day, during Taishi's summer vacation, he learns that his mother isn't in Paris but in Shodoshima, Japan. 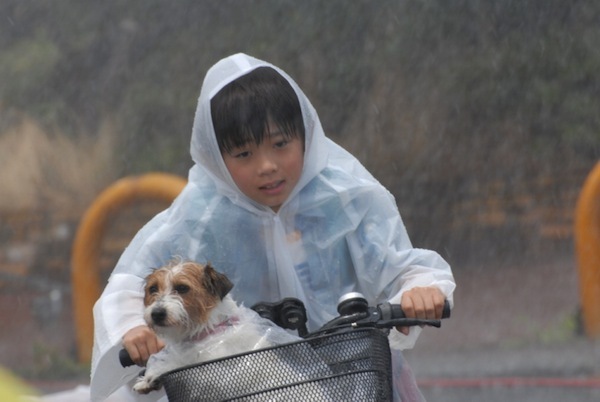 Taishi then decides to take his pet dog with him and bicycle from his hometown of Yokohama all the way to Shodoshima. On his 500 kilometer trip to Shodoshima, Taishi meets various peoples and touches their hearts, while leaving behind small miracles.